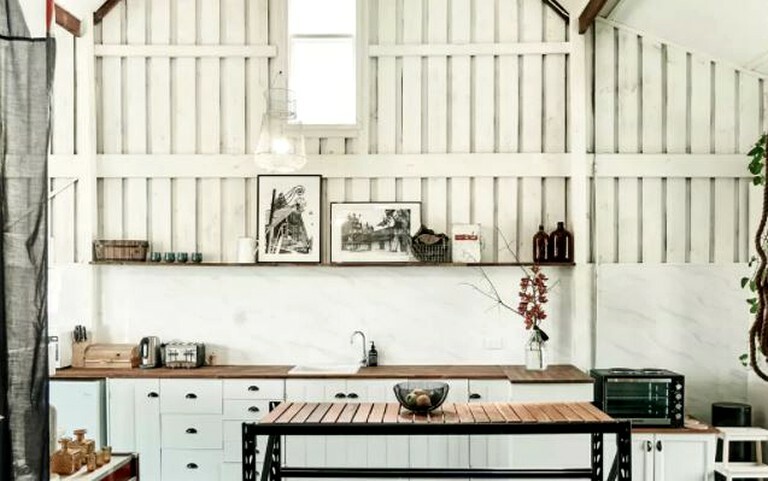 This charming, rustic barn rental is located in Heathcote, Victoria which is about two hours away from Melbourne. 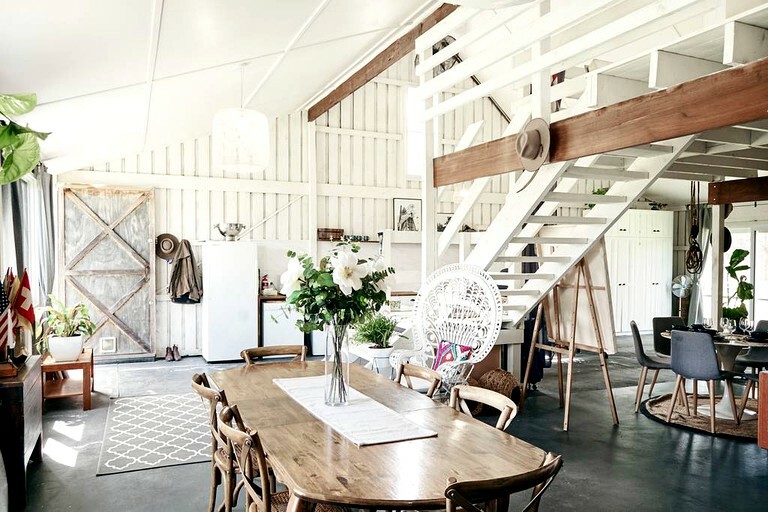 The barn is about half an hour away from Lake Eppalock, in the heart of Australia's famed wine country. 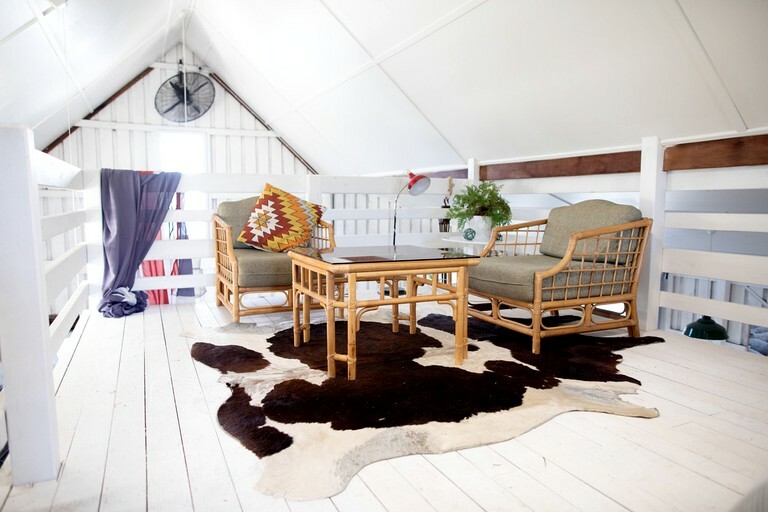 It can accommodate up to four guests, making it a perfect secluded countryside getaway. 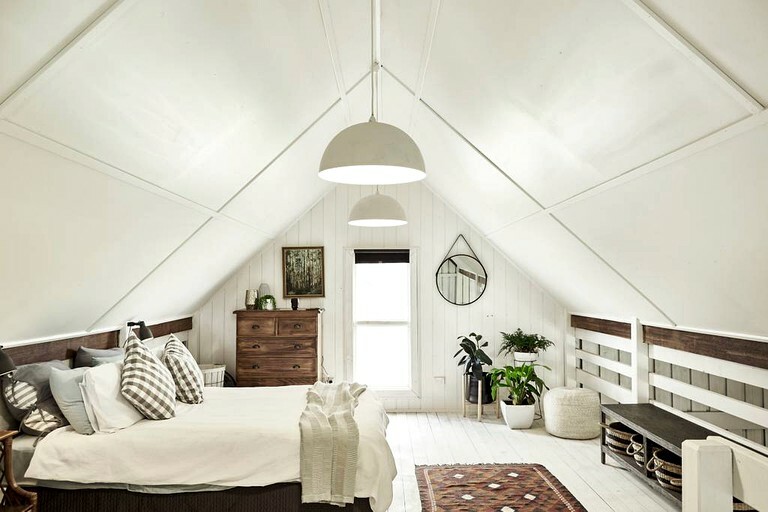 In the upstairs loft, guests will easily fall asleep on a comfortable queen-size bed. The bedroom includes a dresser, a closet, and a private lounge area. The sofa in the downstairs lounge area can be pulled into a double-size bed to sleep any additional guests. Soft luxury linens are provided. 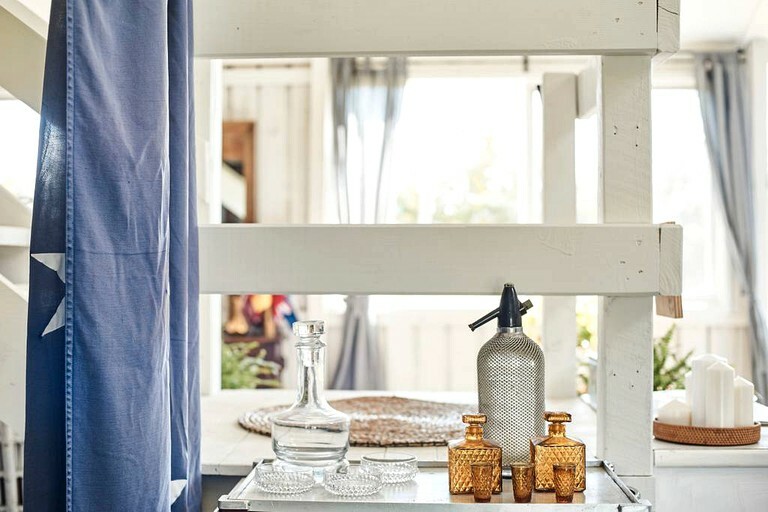 Outside the barn is a separate, private, and full bathroom facility with a mirrored sink and a shower with hot water. 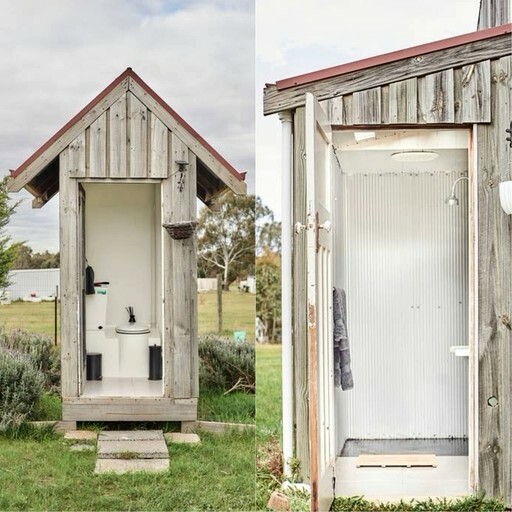 The bathroom consists of an outhouse with a toilet. Towels, toiletries, and a hair dryer are provided. 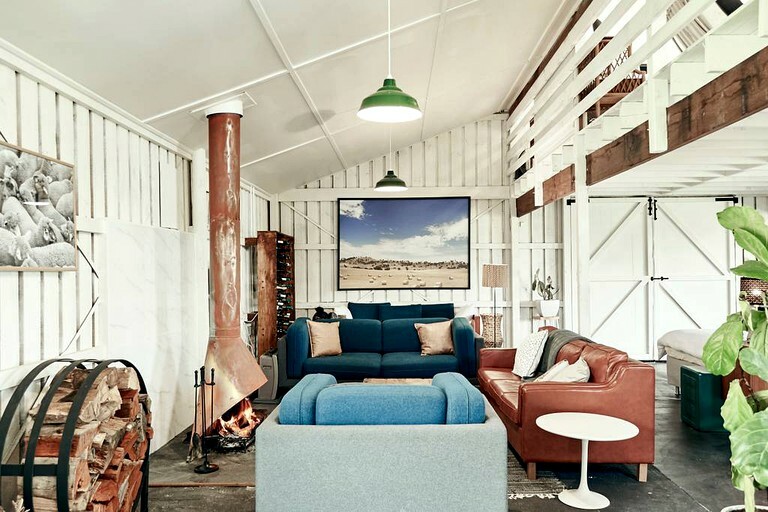 After a long day of fishing on Lake Eppalock or touring vineyards around Heathcote, guests can unwind in the cozy lounge area. 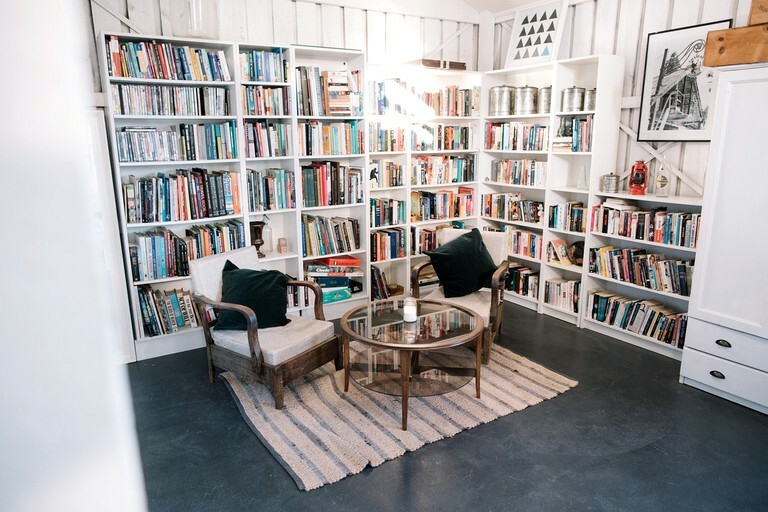 They can take a good book from the library and curl up on the sofa in front of the wood-burning fireplace, or catch up on any business projects and work emails at the laptop-friendly desk. The living room is close to a fully-equipped kitchen and a dining room. 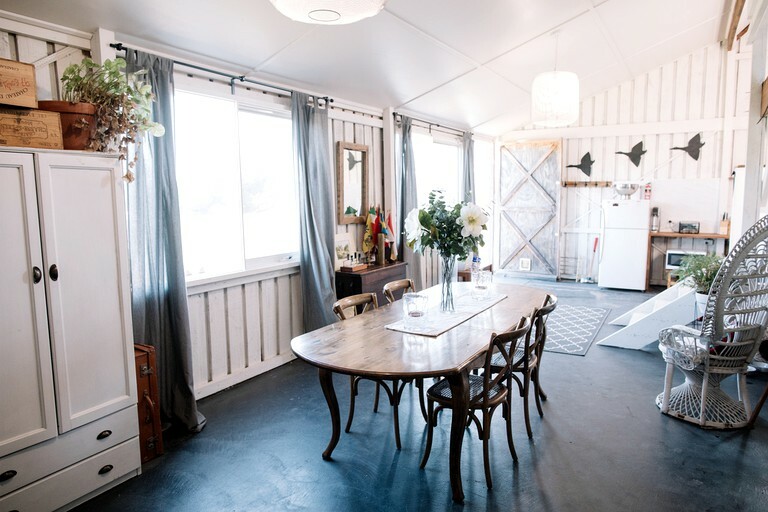 The kitchen comes with a mini-fridge and a full-size fridge, a portable electric oven with hot plates, a toaster, a microwave, and a tea kettle. There is a casual dining table and a more formal dining table, both of which can seat up to four guests. Other amenities include air conditioning, a TV with cable and satellite, board games, a safety box, and an iron with an ironing board. Guests will enjoy access to two furnished patios, one directly outside the accommodation and one close to a nearby dam. 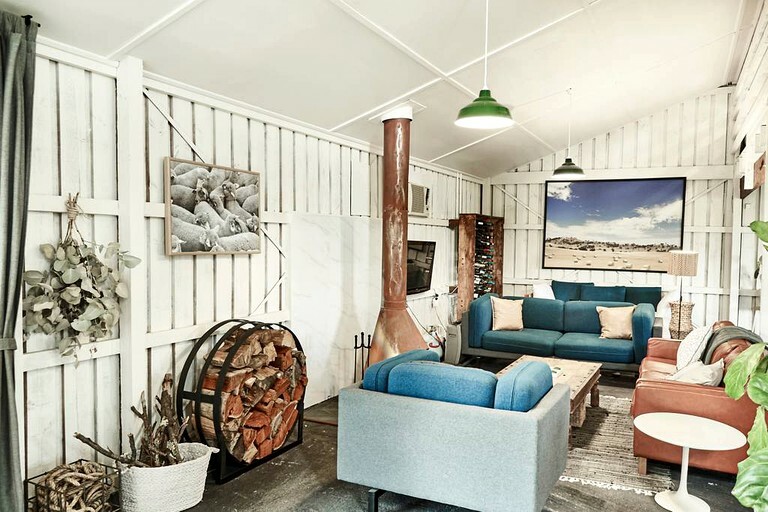 The patio by the barn includes a fire pit and a gas barbecue grill. 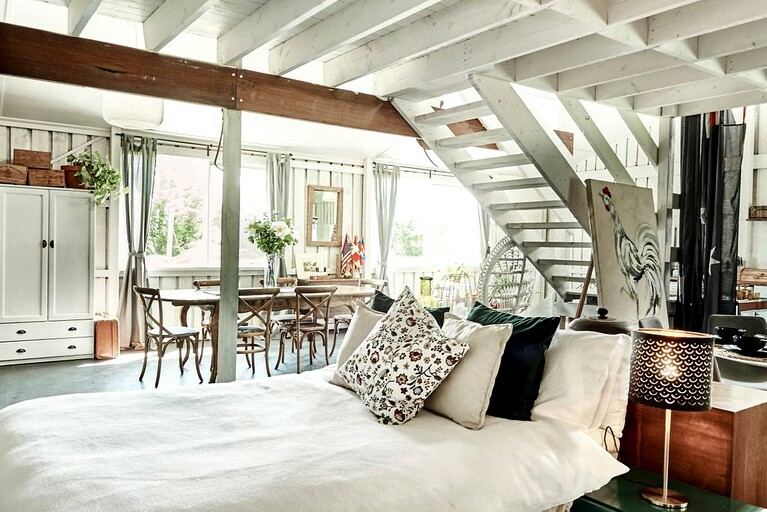 The property also features a private upstairs balcony and a garden. There is plenty off parking is available onsite. 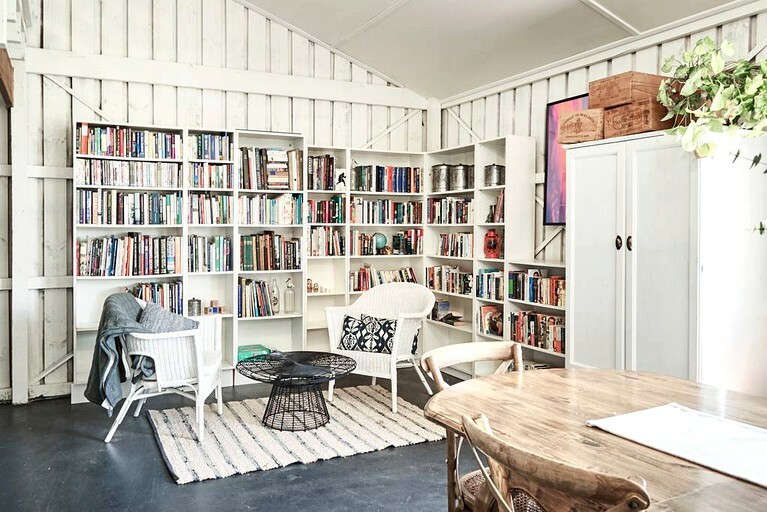 Inside the barn, there is a lounge with a wood-burning fireplace and a library. 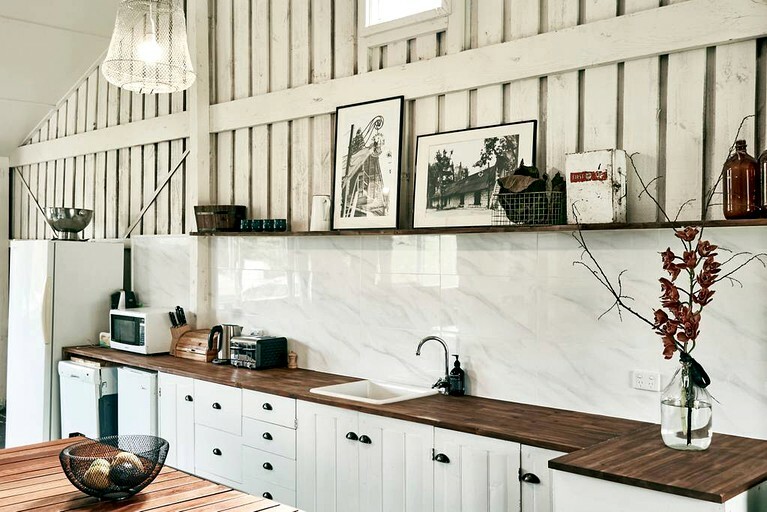 There is also a fully-equipped kitchen and a dining room. 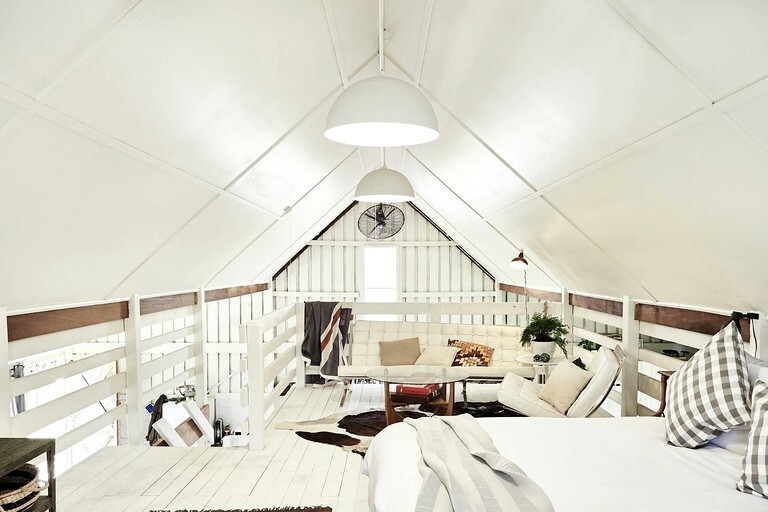 Guests will have access to a separate, private bathroom facility and an outhouse. 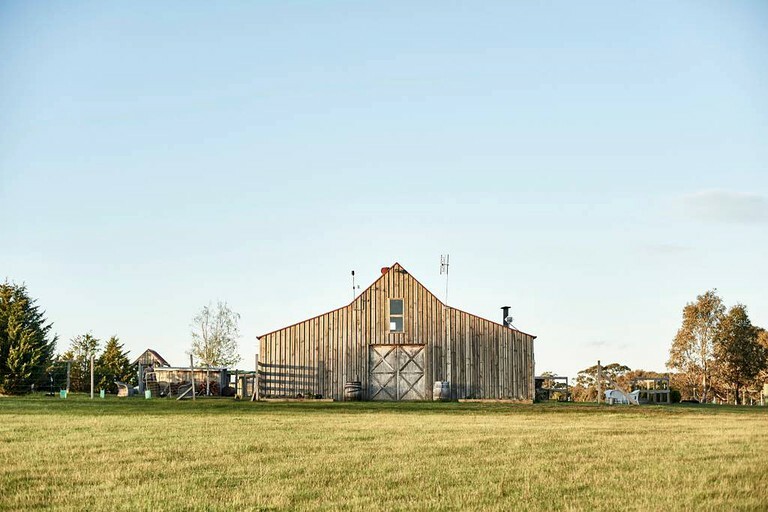 Outside the barn, guests can roast s'mores around a fire pit, and watch birds or view wildlife like kangaroos as they graze in the fields around the farm. 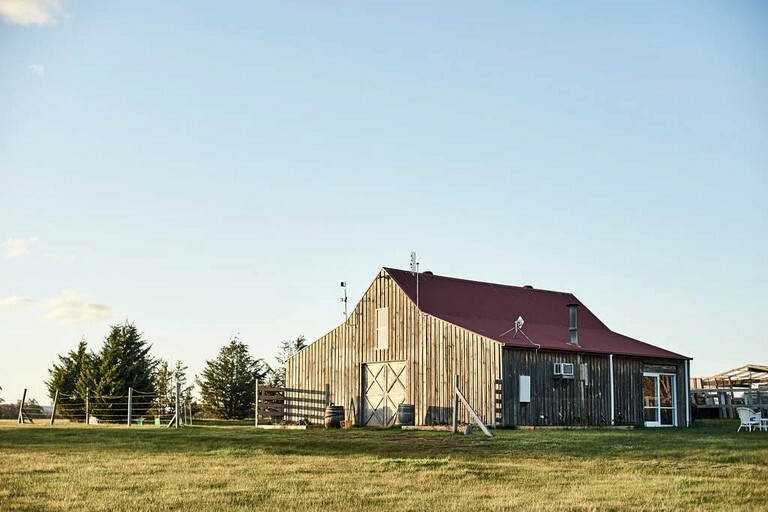 The barn is a few minutes away from the scenic and historic O'Keefe Trail, where guests can go hiking and cycling through the fields and forests around the farm. 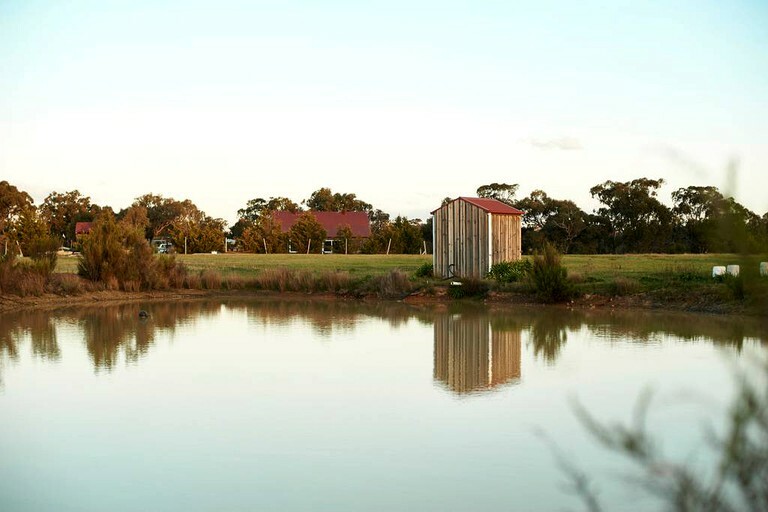 Guests can cool off from the hot Australian sun at Lake Eppalock, where they can go swimming, fishing, and boating. The lake is also excellent for canoeing, kayaking, paddle boarding, and sailing. 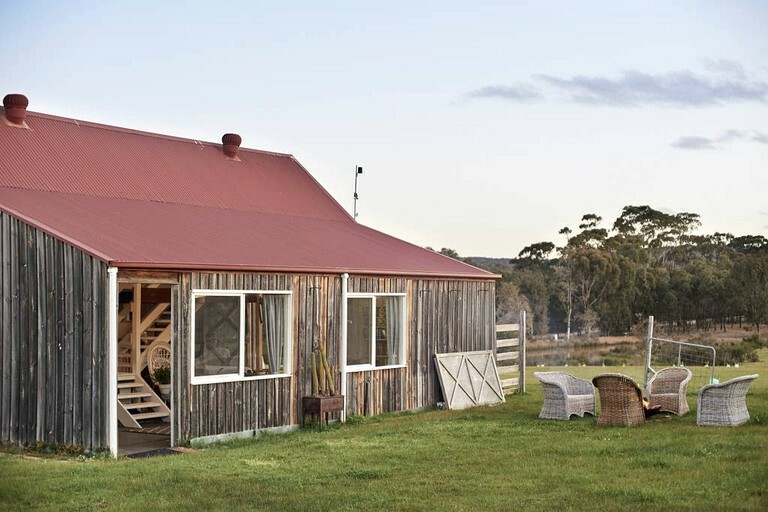 The barn is a few minutes away from Heathcote-Graytown National Park. 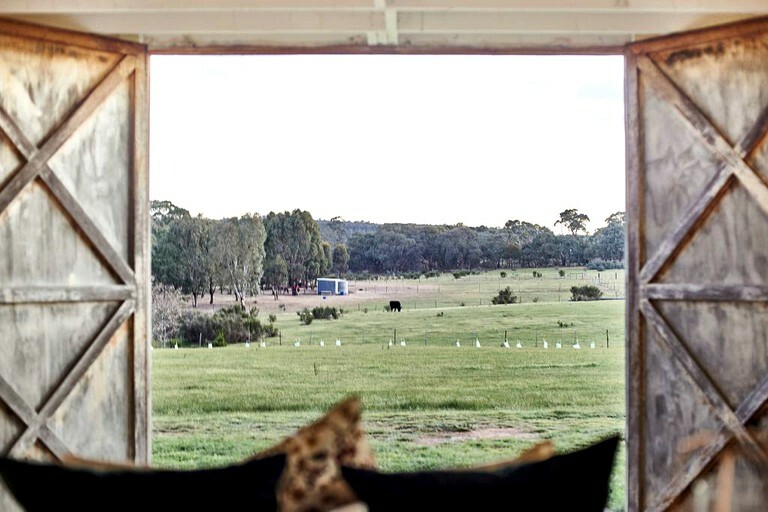 Here guests can go hiking, bushwalking, and horseback riding. 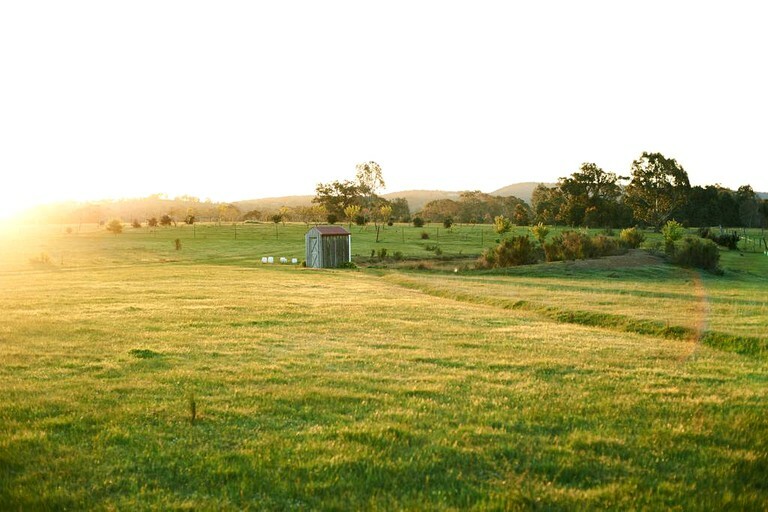 More adventurous guests can travel to the Grampians Mountains for hiking, mountain biking, rock climbing, and rappelling. 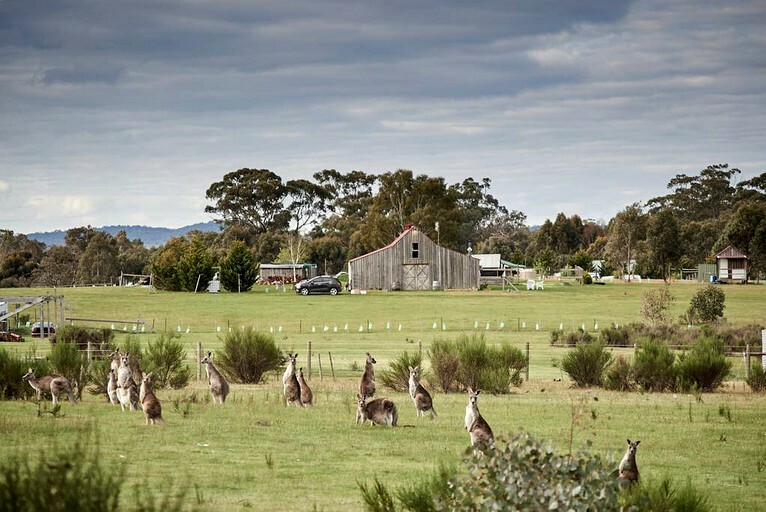 For more leisurely activities, guests can spend the afternoon strolling through the historic streets of Heathcote, a former gold rush settlement that is now a charming, historic town in the Victorian countryside. 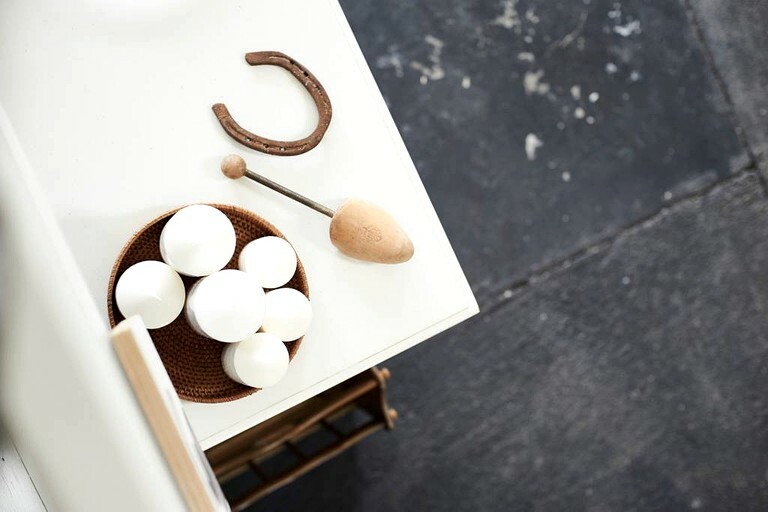 They can visit art galleries and cafes, attend local festivals, or go shopping at boutiques and antique stores. 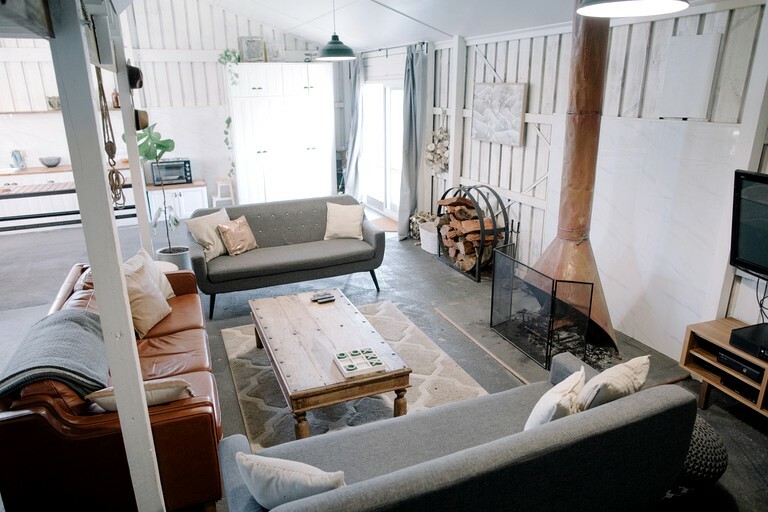 In the hills and fields outside of town, guests can take photos, go on long walks or bike rides, or relax with a few hours of yoga and meditation. 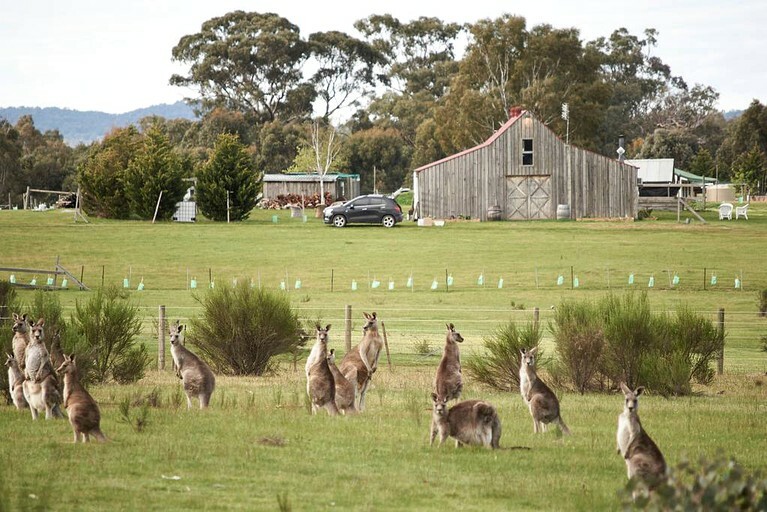 Heathcote is centrally located in Australia's world famous wine country. Guests can travel to local vineyards for tours and wine tasting. They can also buy fresh produce and feed animals at farms and orchards. Guests can take day trips to Melbourne, one of Australia's most popular and cosmopolitan cities. 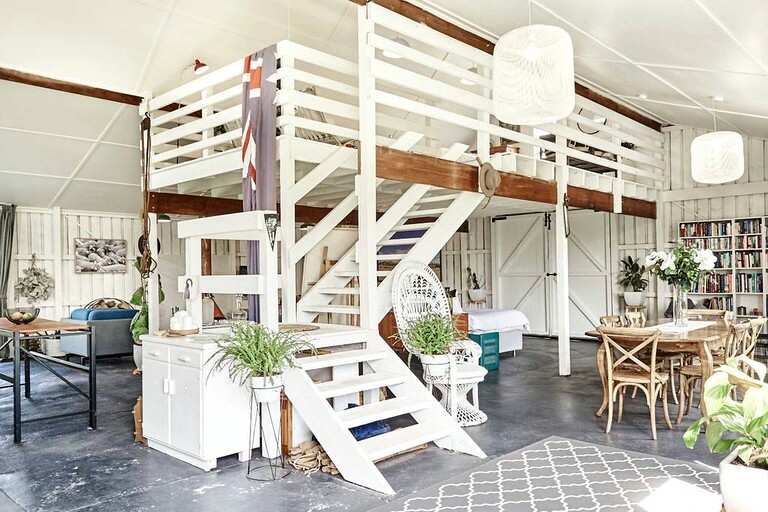 Guests can go kayaking and wine tasting along the Yara River, or drive down Great Ocean Road for surfing and paragliding. Downtown, guests can tour more art galleries, see historic landmarks on city tours, or go shopping and dining. Night owls can stay the evening for bars and nightclubs. Smoking is not allowed inside the barn. Guests can smoke outside but must properly dispose of cigarettes. Pets are welcome but must be approved by owners prior to arrival. Check-in is after 15:00. Guests must check themselves in with a lockbox. Check-out is at 11:00. 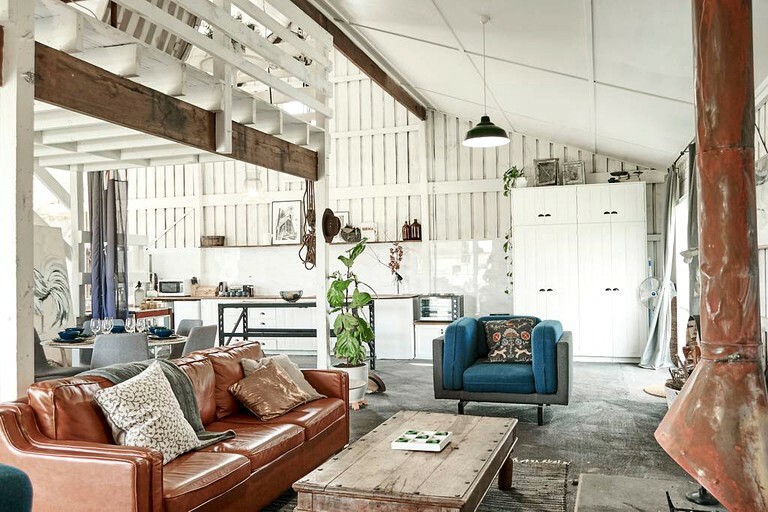 The barn is suitable for solo travelers and couples. Children are welcome but parents are advised to look through the photos and determine if the barn is suitable enough to bring their children. Parties and special events are not allowed. Loud music is not permitted after 22:00. A security deposit of 1034.05 is required. The barn is not wheelchair accessible. Due to the barn's rural location, guests are advised to download the "vic emergency" mobile app prior to their arrival so that they may be kept up to date on any potential local weather alerts and hazards.